Remember Billy Mitchell from King of Kong? Not the father of the US Air Force, but the long-haired hot sauce impresario from Florida who has held various world records in various classic arcade games over the years? Including Donkey Kong, the battle over which was detailed in the documentary King of Kong, which I just asked you about? So according to this highly technical post at Donkey Kong Forum there’s reason to believe Mitchell hasn’t been entirely on the level with some of his Donkey Kong scores. Mitchell claims that his three highest Kong scores, which are all over a million points, were on original hardware, with video captured through a direct feed from the cabinet. This post from the Donkey Kong Forum moderator Jeremy Young (known as Xelnia on the site) accuses Mitchell of passing emulated MAME footage off as the cabinet direct feed for those three highest scores. Young uses various animated GIFs taken from the three games where Mitchell scored over a million points, from the one Kong cabinet verified to have a direct feed set-up, and from a cellphone video of Young’s own Kong cabinet to compare how the hardware generates the screens in each video, and asserts that the Mitchell footage was clearly captured through MAME. Young also points out that although Mitchell has often played Donkey Kong in public at various competitions and conventions, he’s never scored a million points in a setting with an audience or with a credible witness. The end result: Young, who also moderates the high score records at Donkey Kong Forum, has stricken all three of Mitchell’s million point plus games from the record books. Donkey Kong Forum will now recognize a 933,900 point game from the Midwest Gaming Classic in 2004 as Mitchell’s official high score, as it’s the highest scoring game he’s verified to have played in public. If Young’s well-argued, well-researched findings are accurate, that means Billy Mitchell, one of the most decorated arcade game champions of all time, and almost definitely the most famous, has a history of lying about his high scores, and somehow presenting edited or falsified footage as proof. 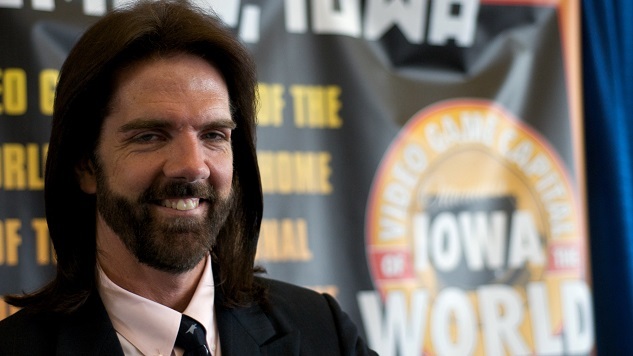 If you’ve watched King of Kong, you probably remember that it portrayed Mitchell as a dubious character who used his clout and influence over Twin Galaxies, the most prominent organization to track and maintain videogame world record scores, to engage in questionable activity to preserve his Donkey Kong world record. Allegations of corruption and cronyism have existed in the community almost as long as it’s been around, and King of Kong exposed them to a mainstream audience. This isn’t even the first major scandal involving a gaming world record this week: on Monday Twin Galaxies determined that Todd Rogers’s world record time on the Atari 2600 game Dragster was impossible to achieve, stripping him of both that record and his other high scores in the Atari 2600 version of Donkey Kong and Atari 5200 version of Centipede. Connecting this back to Mitchell, Rogers supposedly witnessed two of Mitchell’s million point games, and at this point his support can only hurt Mitchell’s case. Paste has contacted Mitchell for a response to Donkey Kong Forum’s accusations. We’ll update this post with any statement he makes.